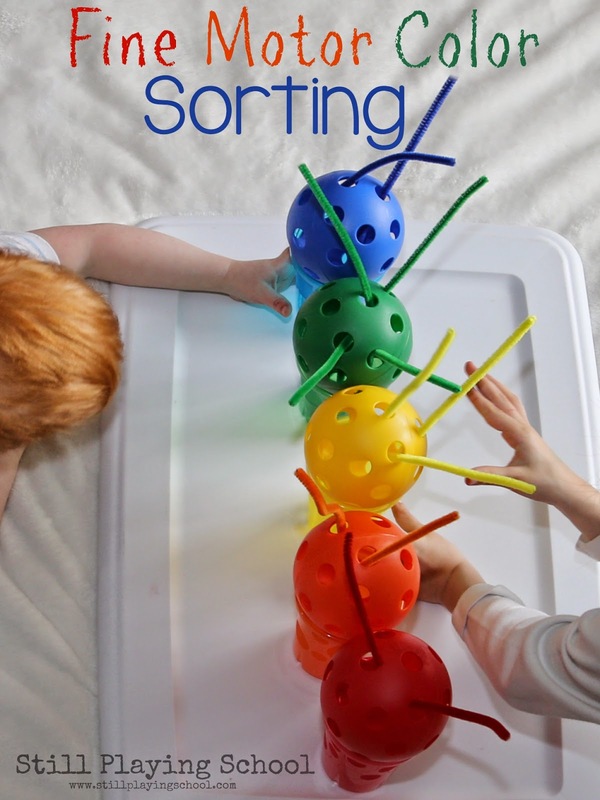 We had everything we needed around the house for this fine motor color sorting invitation for kids! What a fun way to discuss the colors of the rainbow! 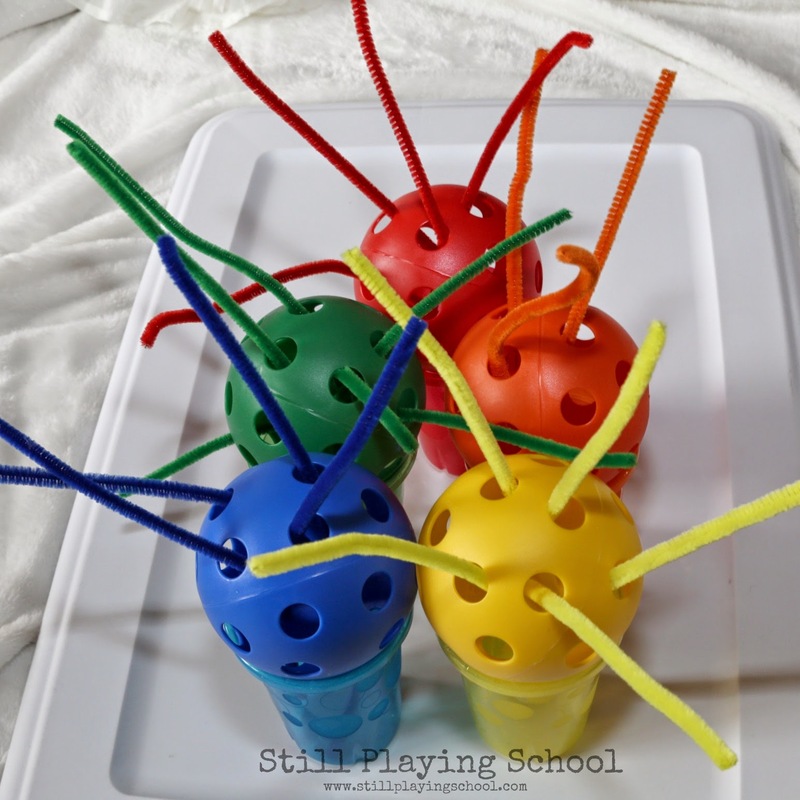 This week's Playful Preschool theme is balls! 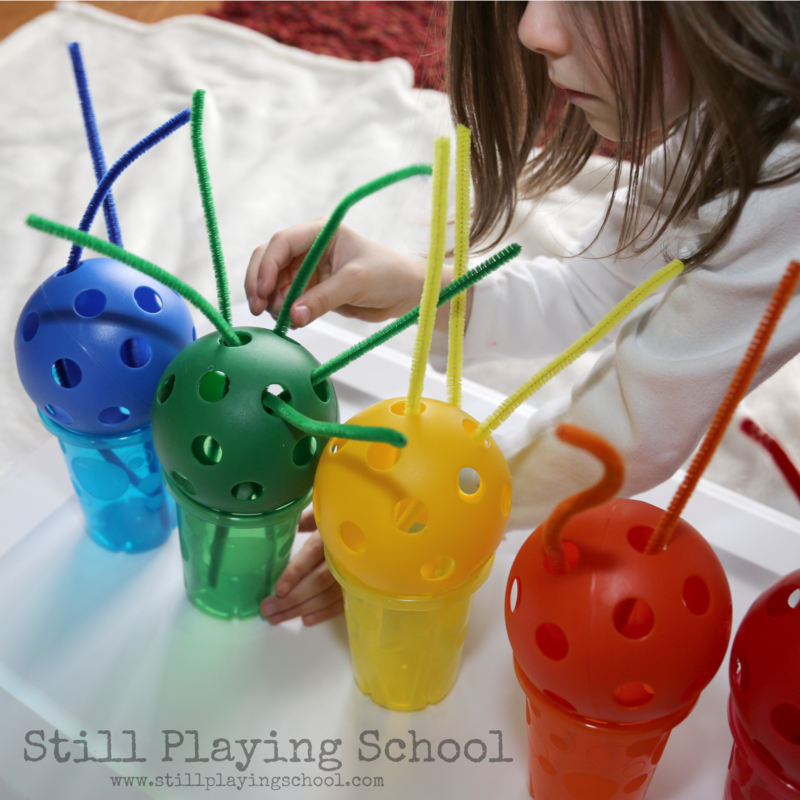 We got out our favorite rainbow colored wiffle balls, rainbow drinking cups, and Craft Project Ideas' fuzzy sticks! 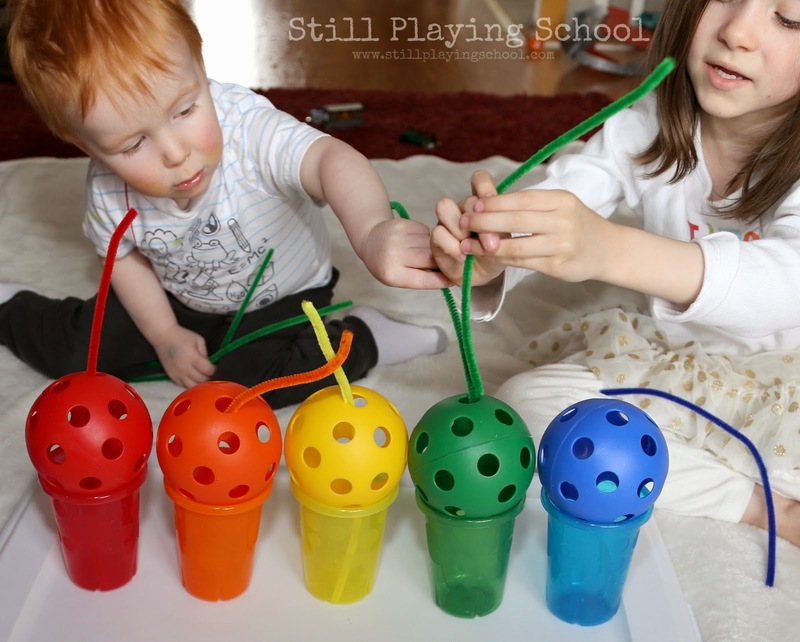 Our kids went right to work balancing the matching colored ball on top of the colored cup! What else could we do with these materials? I showed them how we could carefully thread a pipe cleaner through two holes in the ball to rest in the cup. They went right to work on this color sorting task! I did remind them that they might need to hold the bottom of the cup for stability. It was so rewarding to see their collaboration and teamwork! As we worked we named colors and discussed same/different and matching. 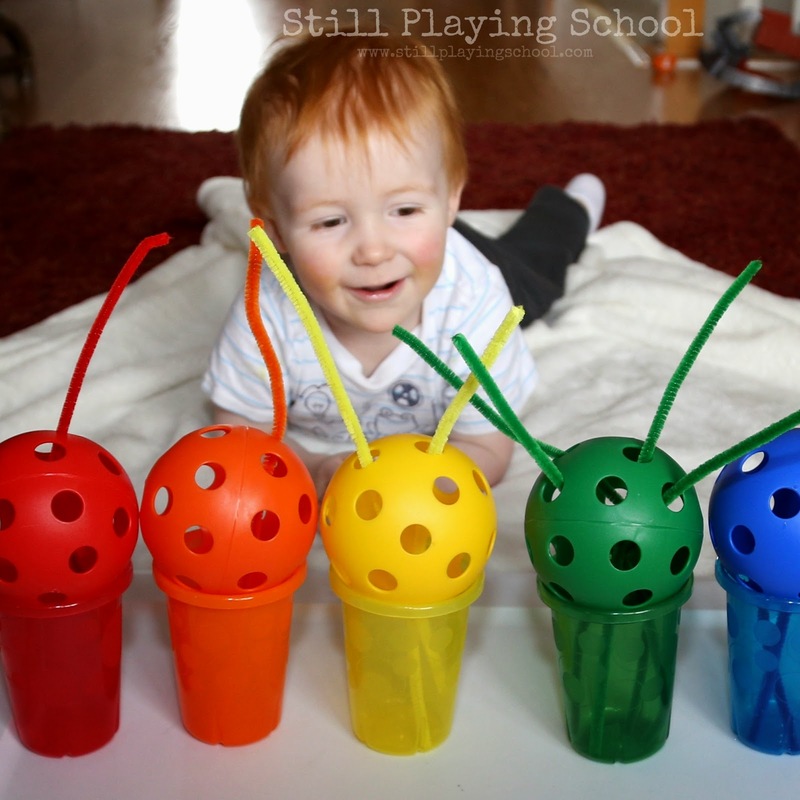 Toddler D is so pleased with our rainbow array! Our end result looks like a very artistic and colorful sculpture! The kids kept returning to add more pipe cleaners through out the day. What a fantastic activity - I love those balls now going to hunt for them in the UK as they would be brilliant for so many uses. That looks like so much fun! 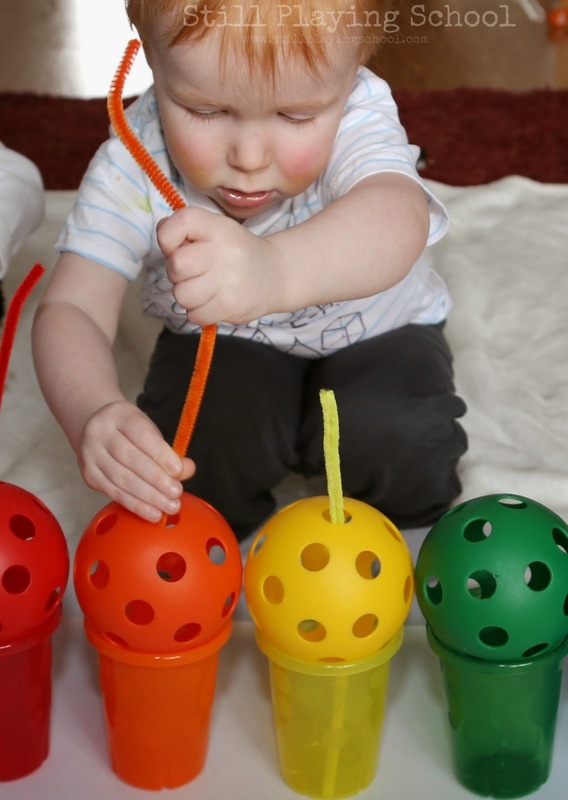 What a creative way to work on colors and fine motor skills (as well as learning about balance)! Great idea! I love that it is something both of my kids can do together. What a fun way to work on fine motor skills and color recognition. Awesome idea!